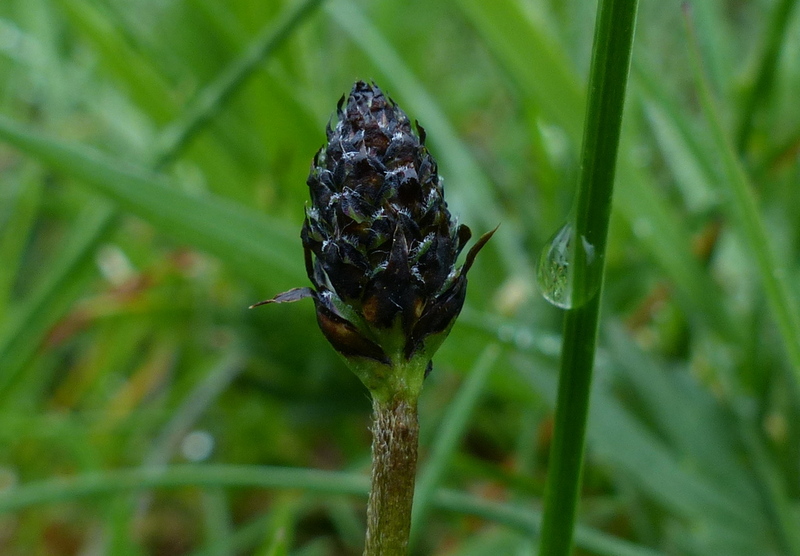 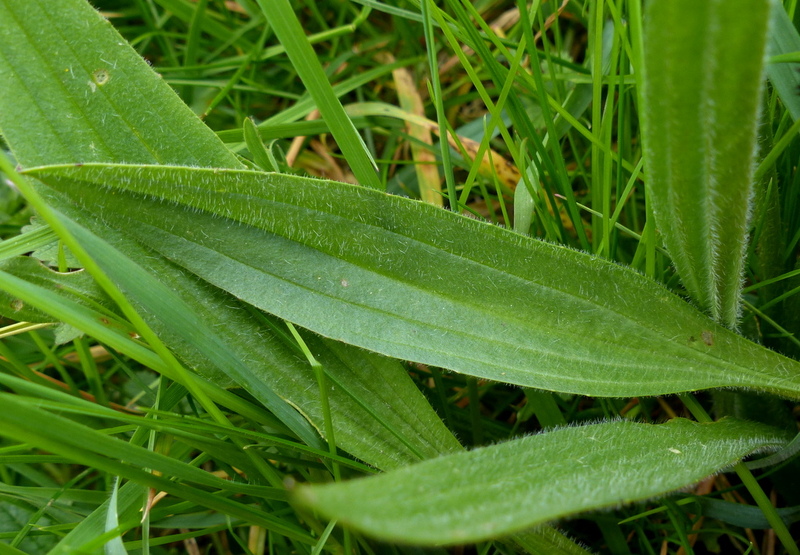 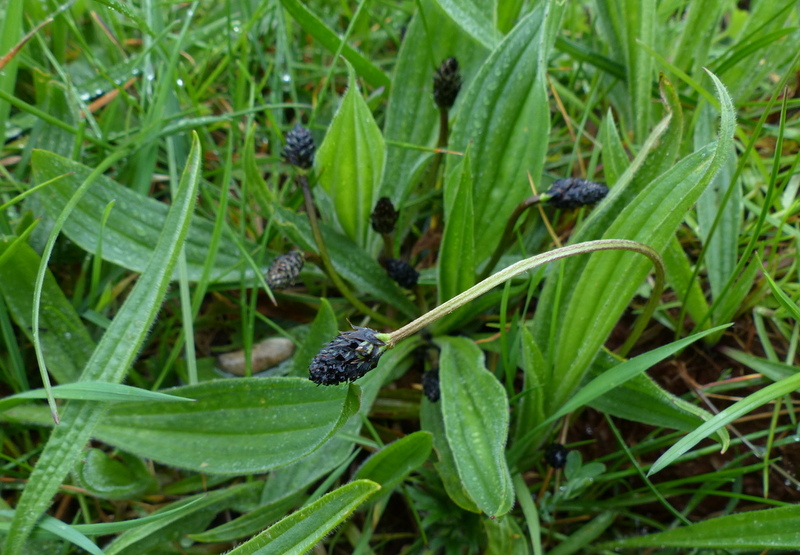 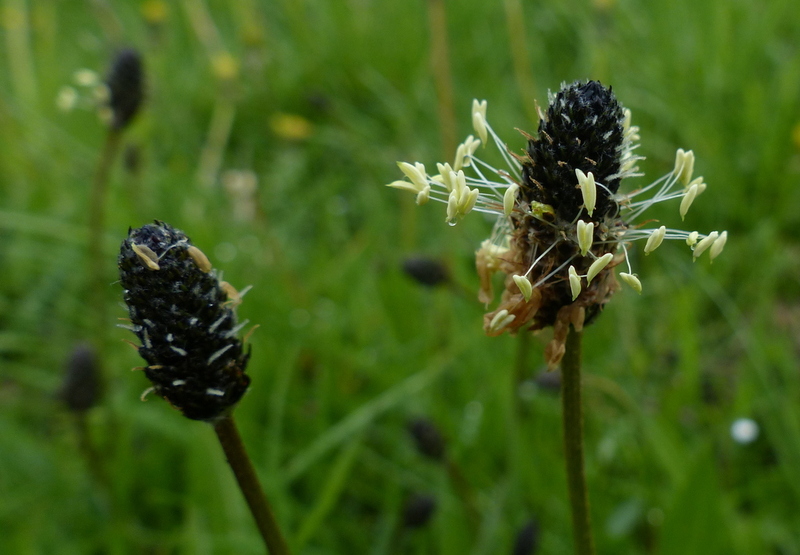 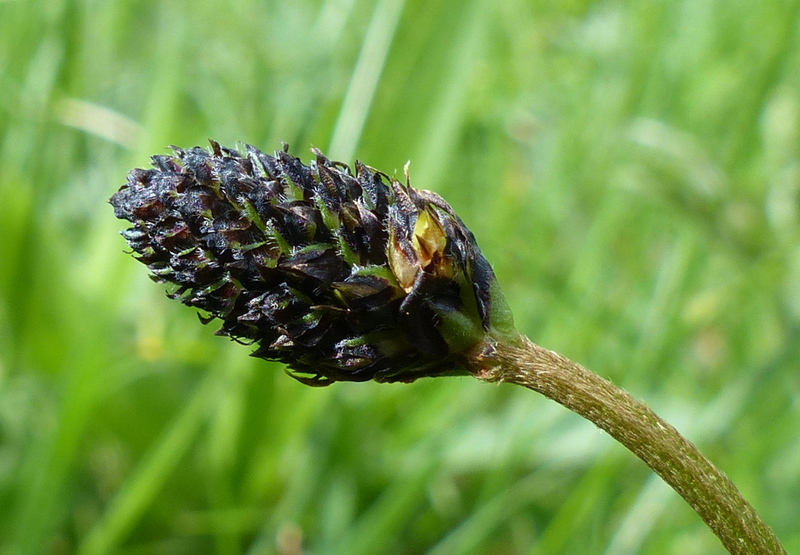 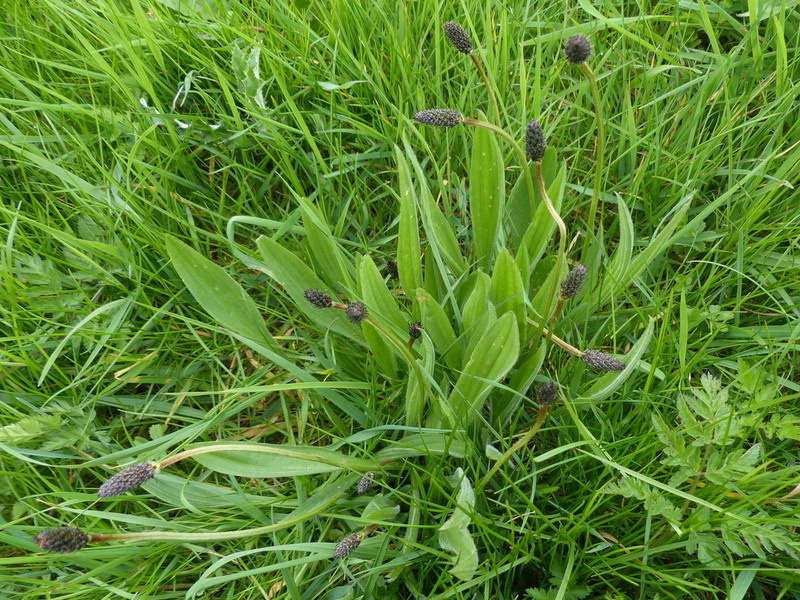 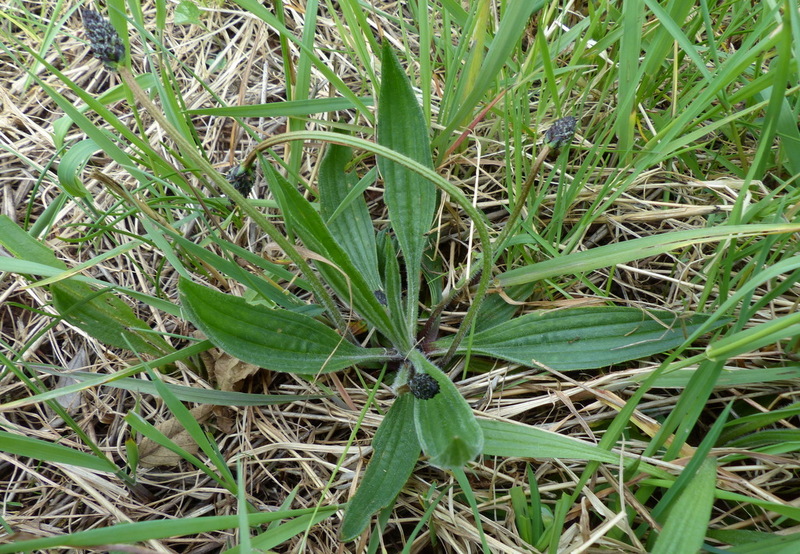 A common plant of meadows and grass land, Ribwort Plantain is also a common lawn weed. 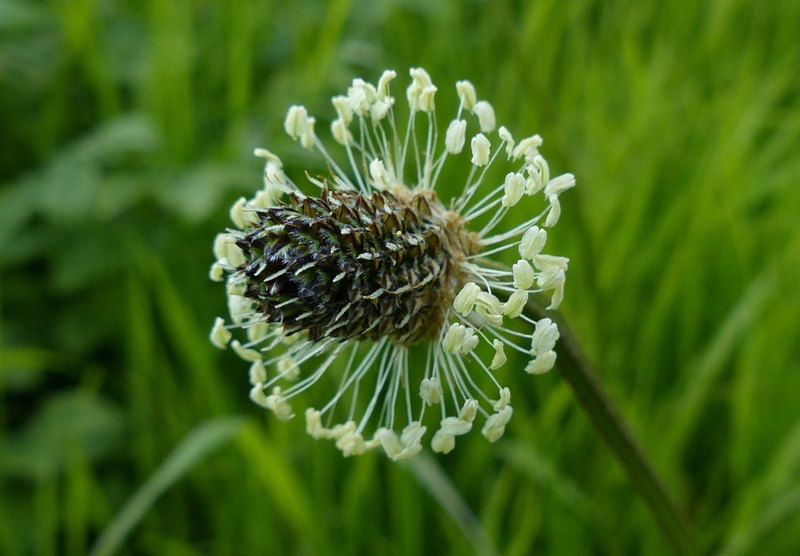 Short creamy, brown flower heads are carried on long ribbed stems and they can grow quite tall when competing with grasses. 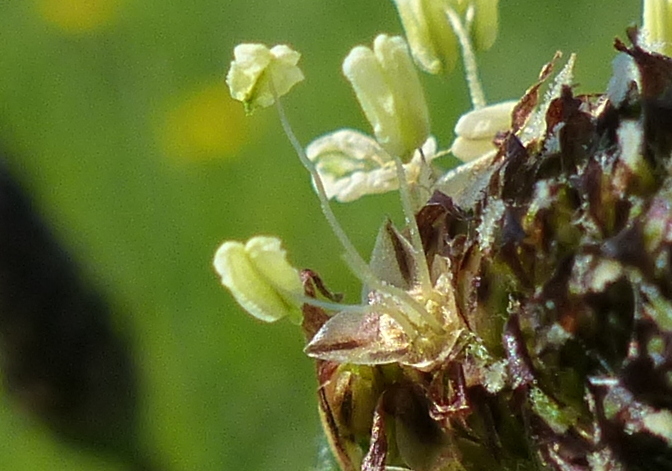 The flower stems are leafless, the leaves all stem from the base of the plant. 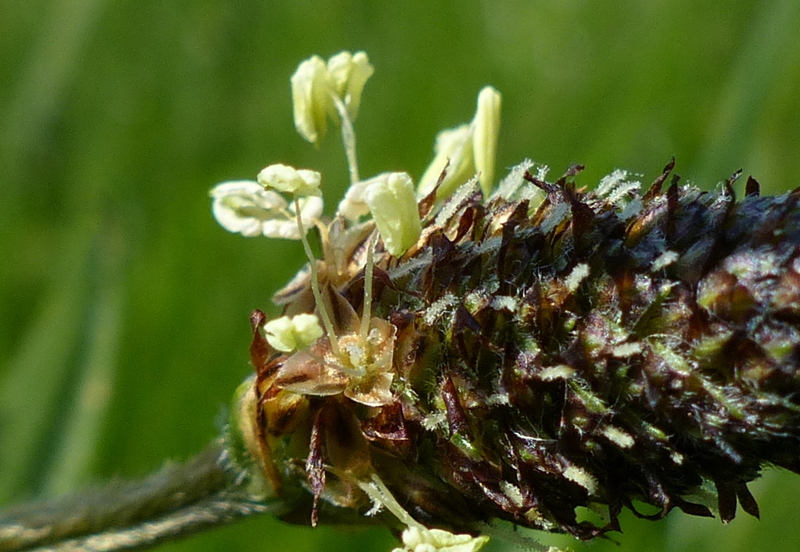 When the flower head first appears the closed bracts present a very dark, almost black face to the world. 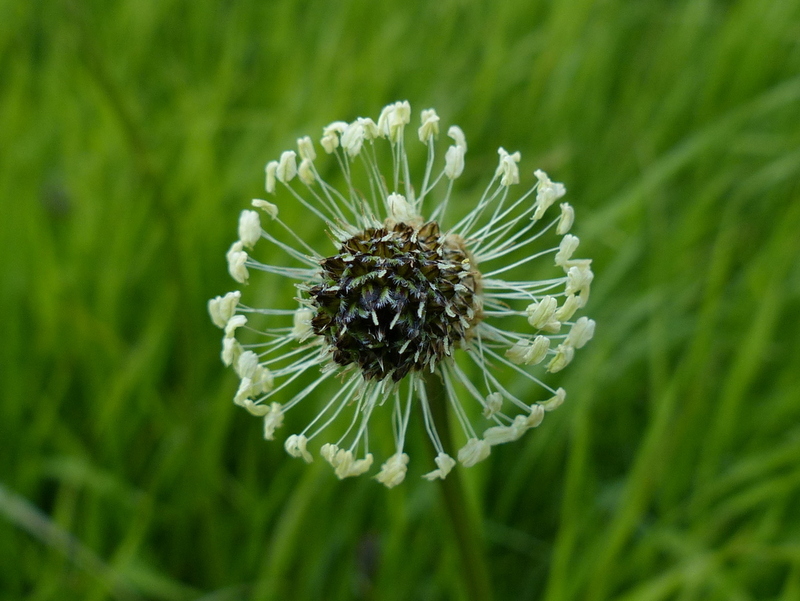 The familiar ring of creamy, white stamens appears as the flowers start to open. 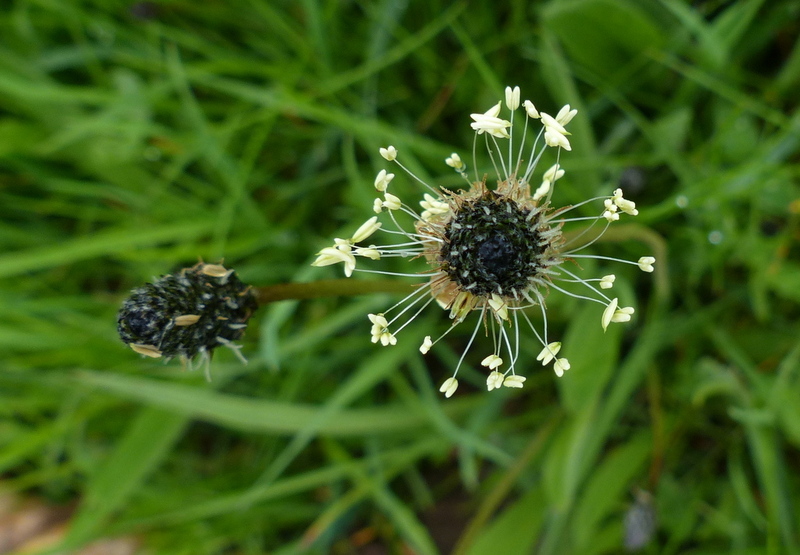 They open from the bottom of the flower head first and the ring moves slowly upwards. 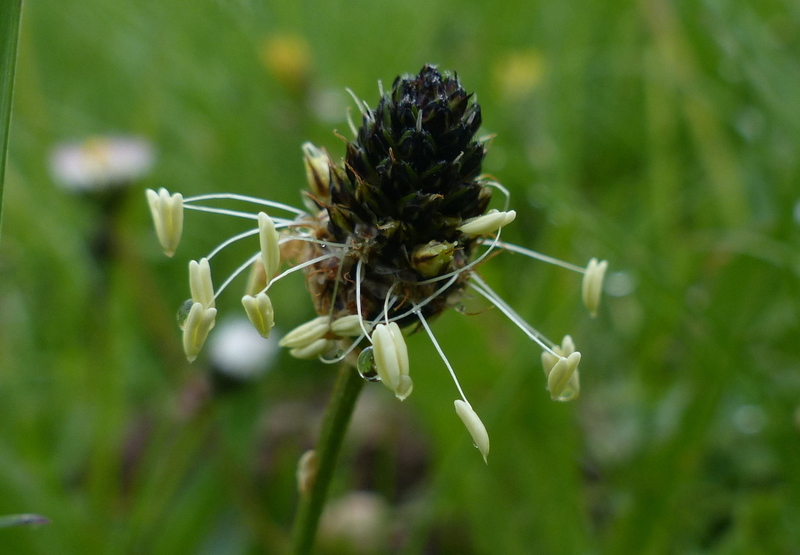 The small flowers are composed of four cream coloured petals with a brown central rib (technically the four petals should be called a corolla because they are not actually individual petals but fused together) The overall effect is of a light brown flower head surrounded by a ring of white stamens. 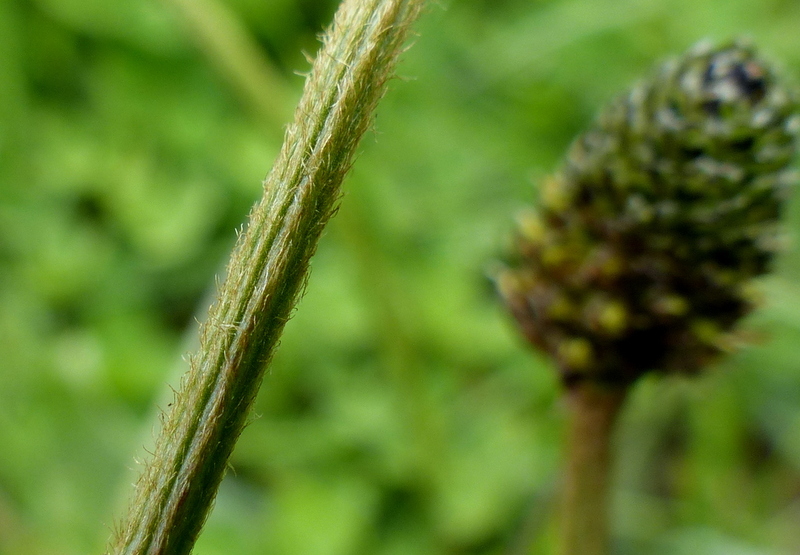 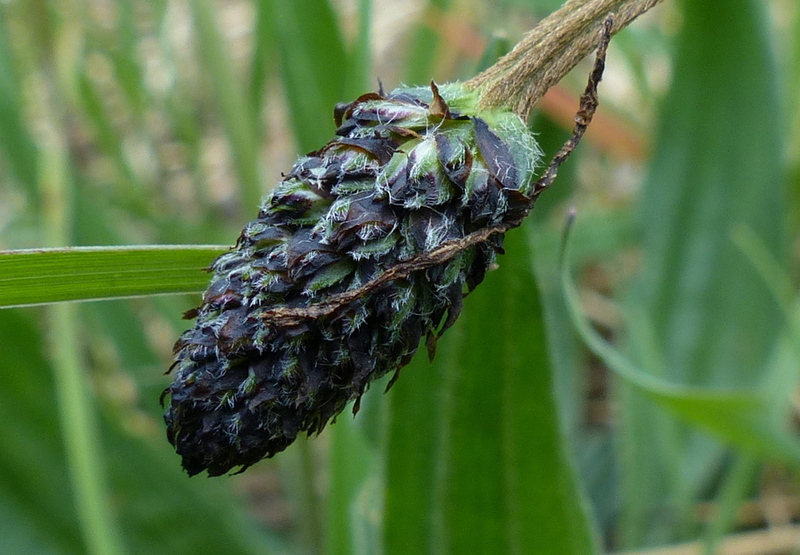 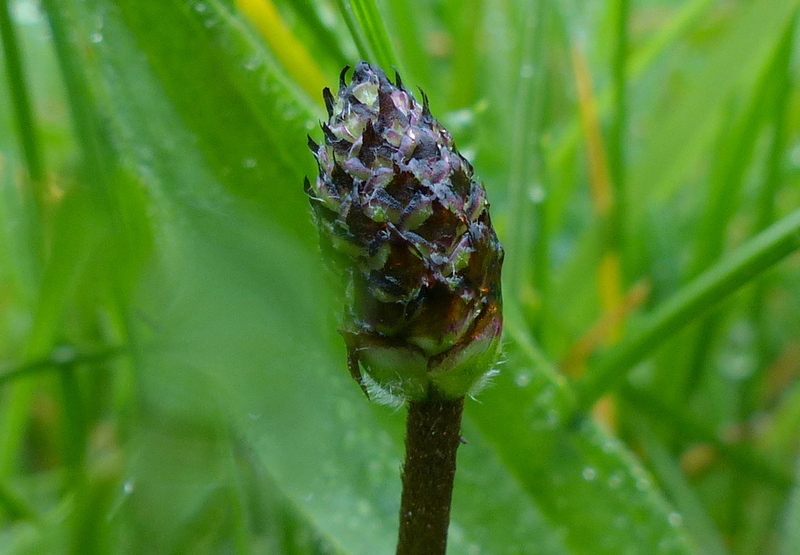 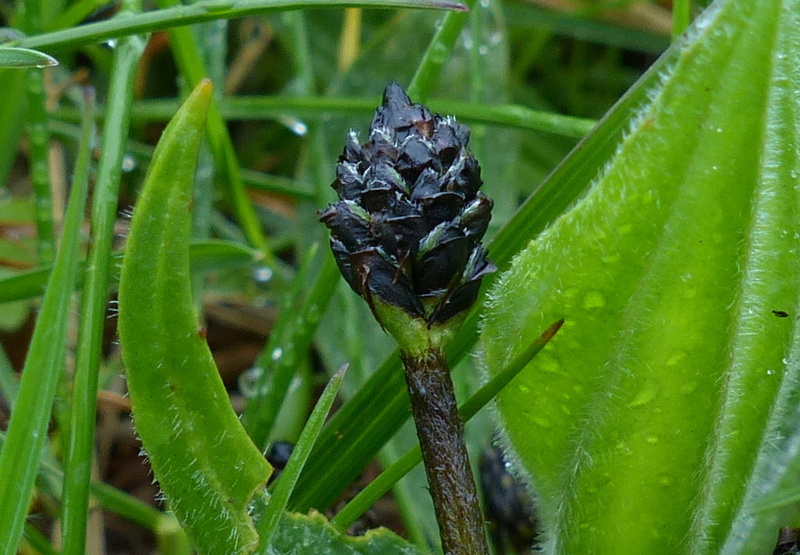 The stem is deeply ridged as are the lance-shaped leaves and depending on who you read, one of these ribbed features gives the plant the name Ribwort.